‘Pathways for a United World’ is a path proposed by the Youth for a United World, to live and implement the United World Project. How? By working every year on a different aspect of human life – economy, politics, justice, human rights, dialogue between cultures and sports… to change ourselves and the wounds of the world around us. 2018-2019 is dedicated to the Pathway of Economy, Work, and Communion. Everything is interconnected and, at the beginning of this third millennium, the key role played by economics and finance is becoming more and more visible. Many problems of our planet are the result of an unjust economic system that, instead of focusing on human beings and creation, worships god-money. “We dream of a world where nobody is in need any longer and everyone has the opportunity to fully develop their human, spiritual, economic, and working potential,” says Andrés Piccinini, an Argentinian member of the Youth for a United World. The proposal also includes a specific training activity addressed to those who wish to engage in the “Pathways”. In addition to a KIT, containing some training material, the Youth for a United World suggest to attend – live or via streaming connection (in English or in Italian) – the “Per-Corso di formazione EdC” (Training course Economy of Communion) entitled “Economy, Work, and Communion.” It will take place at the “Polo Lionello Bonfanti,” in the International Town of Loppiano, the point of reference in Italy and Europe for the enterprises that are part of the Economy of Communion project. Six seminars, to get into the heart of the Economy of Communion today, for a better understanding of its message, experiences, and projects. The Pathway provides for an analysis of the new challenges facing the world of labor and business, as well as the issues of social inclusion, critical consumption, and sustainable development. The program of the Pathway includes a monthly meeting from January to June 2019, every second Thursday, from 6 pm to 8 pm (GMT +1). The initiative will be implemented in collaboration with E.di C. spa, Costituente EdC Italia, AIPEC, EoC-IIN. Prof. Bruni explains, «The Economy of Communion is a great perspective on economy and life. To have a constructive and convincing vision of reality, it is necessary to meet and, through dialogue, share the situations that are close to our heart. We believe that the educational and cultural approach is crucial to anyone who wants to live and implement a different economy». January 31 – Economy of Communion, Business, and Poverty: the Present and the Future. 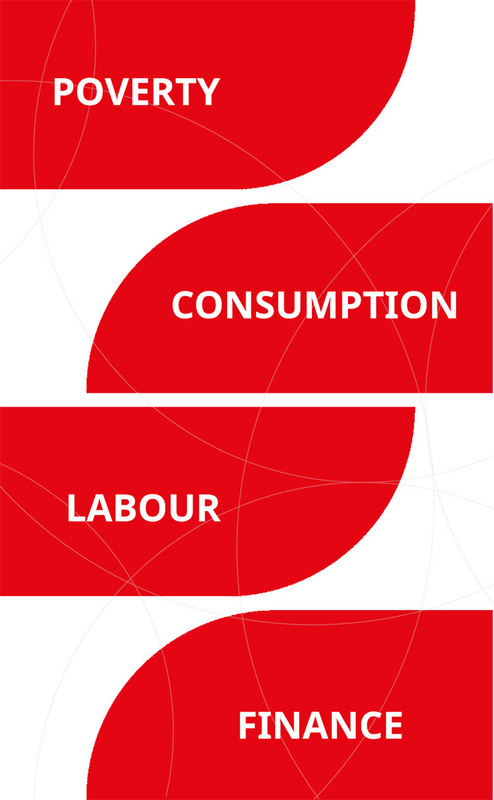 February 9 (2:00 pm – 4:00 pm GMT +1) – Into the LABel – Workshop of Responsible Consumption and Economic Democracy. February 14 – Responsible Consumption and Economic Democracy: Just focus on it! March 14 – Economics and Prophecy. April 11 – Youth and Business: New Entrepreneurial Pathways. May 9 – Sustainable Development: the Challenge of Agenda 2030 and Laudato si’ by Pope Francis. June 13 – Collaboration in Communion: building networks. The participation fee for the complete Pathway is € 25.00. It is also possible to contribute with a “supporter” fee of € 50.00. For students and young people under 25 the course is free. Registration is compulsory, to facilitate an active on-line participation. All events will be broadcast live streaming to allow wider participation in Italy and around the world. The first meeting, Thursday, January 31, “Economy of Communion, Business, and Poverty: the Present and the Future“, will be chaired by Luigino Bruni with the participation of Luciana Delle Donne. A former top manager in innovative banking channels, after working for twenty years as a Senior Business Executive, Luciana has changed her life and she is currently working as a social entrepreneur. She is the founder and CEO of “Officina Creativa” (creative workshop), a non-profit company that deals with the reintegration of disadvantaged people, especially former prisoners. She works with two brands: Made in Carcere e 2nd Chance. A truly unmissable meeting because, as Luigino Bruni says, “we do not want to stop daydreaming for a better world, together. At the ‘Polo’ we can still do it». Registration FORM for people with their residence in Italy. Registration FORM for people with their residence abroad. Secretariat of E.di C. S.p.A.